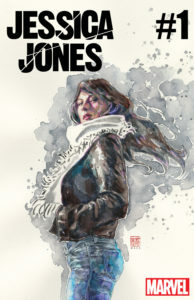 Pullbox Previews: Alias Investigations Reopens! 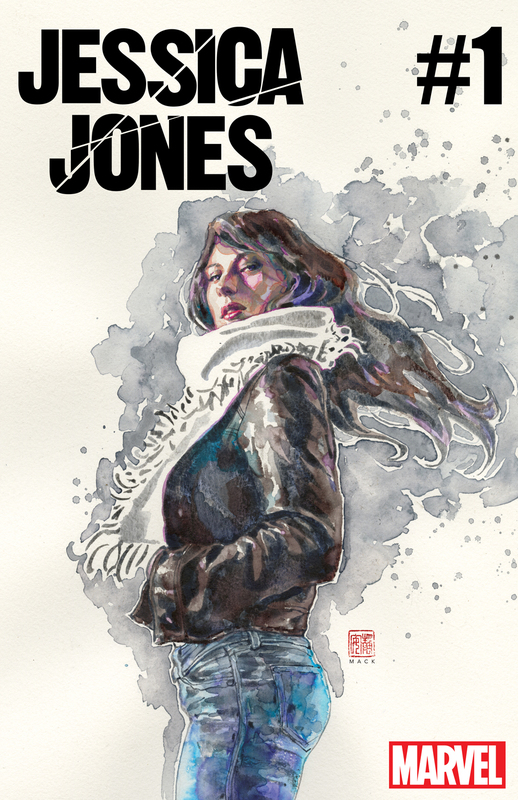 New York, NY—July 12, 2016 — After a decade, Jessica Jones is back in an all-new solo series! This fall, one of the most complex characters of the Marvel Universe returns for an all-new mystery from the original creative team — Brian Michael Bendis (Civil War II, Invincible Iron Man, Spider-Man, Alias) Michael Gaydos (Alias, Avengers), and David Mack (Alias, Daredevil). “Luke and Jessica have tried to raise a baby in a very dangerous environment. We talked about this during [New] Avengers, you’re raising a baby in Avengers Mansion and somebody’s trying to knock that building over every four days…so your perspective changes, and as an investigator and a detective her perspective will change because she’s a mother,” continued Bendis. “I know some people are worried about that baby being dragged like a sack of potatoes that holds down the story or something, but I can think of many ways to tell the story celebrate this part of her life and at the same time complicates it to a degree that a lot of people can relate to. I think a lot of people can relate to trying to ‘do it all.’ Lord knows I can.